So it's getting to be that time of year - time to get serious about holiday plans! In order to make it easy for you to participate, this challenge will be different - a 'free for all' that lasts until 8am, Monday, December 17. ANY card can be linked up. 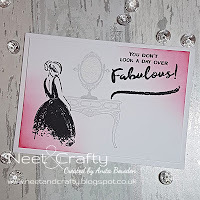 Some of the DT members have provided inspiration; you can use their cards as a starting point, or do something completely different! We will have our normal voting from 8:00 December 17 to 8 am December 18, and the Featured Members will be announced at noon on December 18. The InLinkz will close and voting will begin at 8 am Monday, December 17 and run until 8 am Tuesday, December 18. Please don't forget to come back and vote for 3 of your fellow member's submissions.